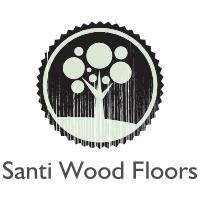 Santi Wood Floors - based in Hornchurch, Essex. Santi Wood Floors is a wooden floor installation specialist based conveniently on the London/Essex border. We can carry out all types of domestic and commercial work ranging from, but not limited to; moisture surveys, sub floor laser surveys, latex and concrete screeding, installation of any type of wooden floor and we also offer full sanding and finishing services. Santi Wood Floors is an approved installer of several top-end wood floor manufacturers and is also positioned to undertake insurance works.